Ready to take your career forward? Join the team of a rapidly expanding company with commitment to excellence. 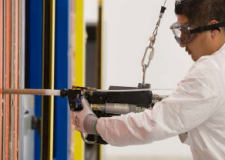 Whether you are seeking an entry level position to begin your career, or looking for an opportunity to flourish in an environment where you can utilize your existing talents and abilities, R3 Composites may be the right choice for you. R3 management values every person and the contribution they make as part of the team effort. This enables our staff to find satisfaction and a sense of accomplishment in working together to produce high quality new and existing products. This also results in high value for our customers. Browse open positions below or contact us to find out how R3 Composites may be the right company for you. Scroll down to fill out our online employment application. Job Purpose: To repair and maintain equipment and make improvements in and to the facility. Hydraulic press operation, oil gear systems, and Allen Bradley logic trouble shooting. Electrical troubleshooting 480/3 to 12v AC and DC. Install machinery and equipment according to specifications/blueprints. Have the capability to open PLC programs, read and understand the PLC logic and software. Check operation of machine and troubleshoot mechanical and/or electrical problems. Perform predictive maintenance planning and preventative maintenance on machines and equipment. Repair and maintain the facility’s machinery and mechanical equipment according to specifications/blueprints and by using precision measuring instruments and hand tools. Keep in contact with department supervisors and production employees to determine status of assigned projects. Able to listen to instruction and follow directions. Cooperative working relationship with management team and co-workers. Able to communicate necessary information to management team and/or co-workers. Observe and obey all safety rules and adhere to OSHA standards. Minimum of 5 years working experience with all troubleshooting listed above. Prior employment history with a Compression Molder preferred but not necessary. Perform basic math skills and read a tape measure. Speak, read, and write basic English or Spanish. Read and understand hydraulic, electrical, and pneumatic schematics. Must be willing to work different shifts depending on production needs. 40 hour week minimum plus any mandatory overtime as needed, which may include Saturdays/Sundays. Production needs will dictate shift hours and overtime. Continuously working around fiberglass material, debris and powder residue. Fast paced. Must be able to adapt to a rapidly changing environment. Perform physical activities that require considerable use of your arms, legs, moving your whole body; such as climbing, lifting, balancing, walking, stooping and standing for long periods of time. Able to work in extreme hot and cold environment. Lift up to 50 lbs repetitively as needed, occasionally overhead. Job Purpose: To help manufacture product with a goal to achieve optimal productivity, quality, and safety. Remove cured products from mold using hand tools and air hose. Identify and Inspect product and material to ensure product meets specifications. Follow all procedures / work instructions for startup, shutdown and setup of the Resin Line equipment. Observe and monitor machine operation to maintain a quality product. Report any issues to line operator or supervisor and help identify root cause of errors or other problems. Must be able to obtain, move, and sort products, materials, containers, and orders, using hand tools. Examine and inspect packing containers and packing materials to ensure packing specifications are being met. Measure, weigh and count products and materials as needed. Record product, material usage, packaging and other information on specified forms. Observe and obey all safety rules. Speak, read and write basic English or Spanish. Use measuring equipment such as tape measure, scales, thickness gauges. Work minimum 40 hour week plus any mandatory overtime as needed which may include Saturdays/Sundays. Production needs dictate shift hours and overtime. Working with fiberglass material, fiberglass debris, fiberglass powder residue and chemicals. Able to work in extreme hot and/or cold environment. Position requires continuous use of arms, legs, and whole body; climbing, lifting, balancing, walking, reaching, twisting and stooping. Position requires considerable use of arms, legs and whole body; climbing, lifting, balancing, walking, reaching, twisting and stooping and standing for long periods of time. Lift 50lbs to 70lbs repetitively as needed, occasionally overhead. Job Purpose: To ensure the cleanliness of the facility. Dispose of, move, collect, and distribute scrap data and pieces. Good organizational skills and good time management. Clean all restrooms, break rooms, front offices, shop floor offices and smokehouse. Empty all trash bins throughout the plant and empty the hopper. 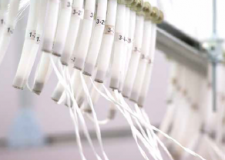 Keep production floor clean using mops and/or floor scrubber. Outside maintenance; mow grass, weed eat, snow removal, parking lots free of debris, occasional painting. Record product, packaging and other information on specified forms. Maintain Satellite areas and 90-day hazardous waste containment. Pass forktruck tests; written and performance. Ability to operate floor scrubber. Working with fiberglass material, debris and powder residue. Perform activities that require considerable use of your arms, legs, moving your whole body; such as climbing, lifting, balancing, walking, stooping and standing for long periods of time. Perform mold and die changes. Mold and Die change knowledge a plus but not required. Job Purpose: To prepare product and materials for shipment. Off-load when necessary, load products and materials for customer delivery and to assist in the receiving of products and materials. Correctly label all product in preparation for shipment. Verify that order numbers match the orders being loaded. Move and sort products and materials by hand onto the proper skids/containers. Load product, material or containers by hand or forktruck. Examine all products to ensure they are defect free and meet all company and customer specifications. Record product, packaging and order information on specified forms and records. 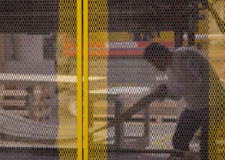 Maintain cleanliness of warehouses including docks, dock stands and dock plates. Listen, comprehend, and retain instructions given by Managers, Supervisors and Team Leaders. To have a professional working relationship with management, co-workers and customers. Communicate necessary information to management team and co-workers. Obtain forktruck certification within 90 days of hire date. Fast paced. Continuous multitasking. Environment can change rapidly. Considerable use of your arms, legs, moving your whole body; such as climbing, lifting, balancing, walking, stooping and standing for long periods of time. Move and sort product and material by hand. Lift up to 70 lbs overhead, sometimes repetitively. Job Purpose: Remove excess flash, make sure all cured products are free from defects, pack cured parts. Observe machine operation and help identify the cause of errors or other problems. Examine and inspect packing containers and packing materials for defects to ensure that packing specifications are met. Ready to start your career with R3 Composites? You may apply online by filling out our employment application. You will also have an opportunity to upload your resume at the end of the application.